Weaving together moving interviews and rare archival footage, The Kids We Lose portrays, for the first time on film, the journey of kids with social, emotional, and behavioral challenges, their caregivers, and their collective struggles at various ages. The kids don’t understand why they’re being mistreated and manhandled or why they’re unable to change course…they just think it’s their fault. Their desperate and discouraged parents hope there’s a better way, but have been on the long road of looking for right help for way too long. Classroom teachers feel ill equipped to help these kids, and have time constraints, high-stakes tests, overcrowded classrooms, budget cuts, and zero tolerance policies interfering with their efforts to retain their patience and compassion under impossible conditions. The entire picture is one of alienation, disenfranchisement, marginalization, and despair. 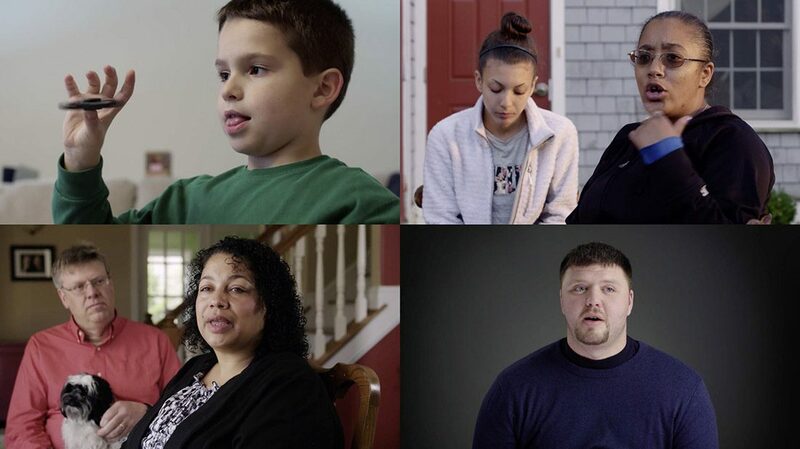 Using interviews filmed across North America, the film documents the punitive, counterproductive, misguided, inhumane interventions so frequently applied to kids with social, emotional, and behavioral challenges. In American public schools alone, annually, these kids are on the receiving end of 5.4 million in- and out-of-school suspensions, dozens of millions of detentions, hundreds of thousands of school paddlings, hundreds of thousands of restraints and seclusions, and tens of thousands of school arrests. The Kids We Lose also shows how the misperception, mistreatment, and demonization of these kids begins at very early ages — the astronomical rates of suspensions of kids in preschool and kindergarten tell us it’s so — and simply intensifies as kids grow older and their difficulties grow worse. In The Kids We Lose, we hear the kids describing how they’ve been manhandled (literally and figuratively) by the system; we also hear the self-blame and hopelessness that springs from being misunderstood and mistreated. We hear the parents describe how they have been inaccurately characterized as passive, permissive, inept disciplinarians, and we hear their isolation and desperation in trying to find the right help. We hear from classroom teachers who have received minimal training on understanding and helping kids with behavioral challenges but who are nonetheless on the hook for making things work in overcrowded classrooms that include many kids with special needs. We hear from school administrators who feel tremendous pressure — from school staff and the parents of well-behaved students — to “send a strong message” and intervene in ways that are decisive, punitive, and counterproductive. And we hear from staff in therapeutic facilities, who describe what it’s like to listen to the wailing of kids who are being restrained (pinned to the ground by 2-4 adults) and placed in locked-door seclusion or solitary confinement, but who sometimes justify the use of these procedures out of concern for their own safety.